“Where is he who has been born king of the Jews? For we saw his star when it rose and have come to worship him” (Matthew 2:2). We are busy here at the Bible Land Explorers’ headquarters chewing the magoi. So far we’ve noted how Jesus was born in a Cold War (see here) and how the magoi were savvy politicians with a reputation for king-making and king-breaking (see here). We have yet to address the star stuff, a possible source for their knowledge about the birth of a Jewish king, why Matthew mentions them at all, and, of course, a curious parallel involving another magoi delegation, this one sent to Rome! So much to digest! As Christmas morning approaches, however, we lean toward something more festive: wisemen wafers! An Orthodox priest pronounces a blessing over the assembled media and a Soyuz rocket ready for a blast off. The Orthodox are not shy in dispensing blessings. This image is from here, accessed 12/22/2018. The term arises in the Greek language (εὐλογία) as a general description for a “good word,” “flattery,” or, in a religious setting, a “blessing.” We recognize the idea embedded in the English eulogy, “good words” heard at a funeral. Interestingly enough, blessed objects are known in the archaeological record. Examples of terra-cotta ampullae. These flat, small (3-4 inches in diameter) vessels are mold-made with decorated faces. The regular appearance of St Menas with arms outstretched on a central medallion (far left, far right) has given these vessels the nickname “Menas flasks.” For more on St Menas see here. These examples are part of the collection of the British Museum (see here, accessed 12/23/2018). All three of these examples date to the Byzantine period and were purchased by collectors in Lower Egypt. One type of eulogia is the ampulla. Terra-cotta flasks or glass bottles from Byzantine Jerusalem are a reflection of a booming tourist business between the mid-sixth through early seventh centuries AD. ** These containers are often decorated with biblical scenes or symbols. They were used by pilgrims to collect and carry holy water or oil acquired from church reservoirs. This is a practice continued right up to the present. 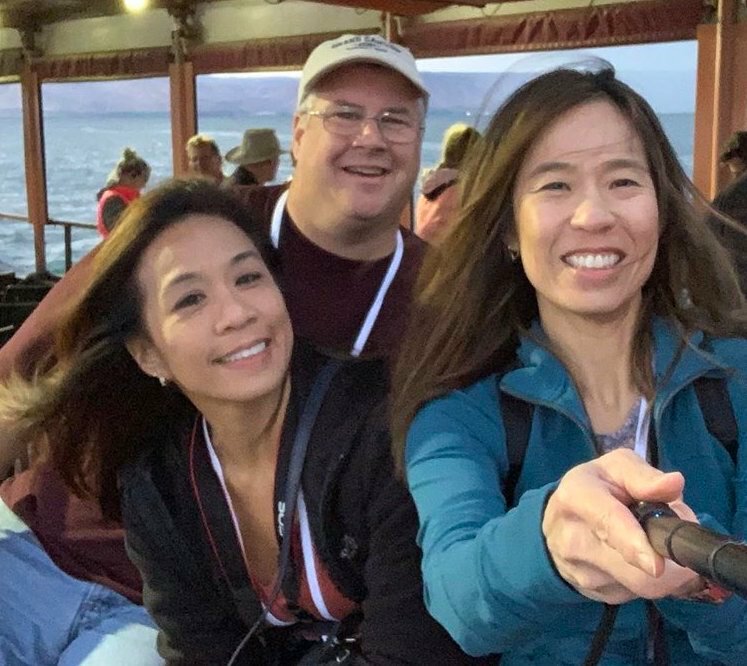 More than a few drops of Jordan River water end up in baptisteries worldwide. Similarly, extinguished candles, lit from the flame of holy sites, become precious mementos. Another type of ancient eulogia is the torta. About the size of a dime, these tiny objects look like coins but are in fact small tokens made of compressed clay, earth, or dust. Like the mold-made ampullae, the tortae carry symbolic decoration. Stamps of biblical scenes or symbols are impressed on one side of the token. The reverse is plain. They tend to be unfired and poorly preserved. This is a fine examples of the torta from the webpage of Israel Museum. There are others for browsing (see here, accessed 12/22/2018). Two scholarly suggestions are of interest. *** First, it is possible that the torta is made of materials from the holy places themselves (sweepings?) and are stamped with a specific biblical motif that corresponds with the local memory. They serve, therefore, like postcards of more recent vintage, reminders of a thrilling visit to a (spiritually) exotic locale. The fact that they are fashioned from the very sediment of the site confers an additional layer of authenticity. Second, scenes depicted on these torta may very well be rough interpretations of apse mosaics or panel paintings from churches where they were acquired. These three tortae are presented in the article by L. Y. Rahmani, “The Adoration of the Magi on Two Sixth-Century C.E. Eulogia Tokens,” Israel Exploration Journal 29/1 (1979): 34-36. As for the magoi (and the reason for this post! ): One of the most popular scenes discovered on these blessed objects is the adoration of the wise-men. As the examples posted here show, there is a conventional presentation: three magoi stand as a group, their knees are slightly bent, their heads are adorned with tall and floppy Phrygian hats. They face the Madonna holding a child. You cannot visit the Church of the Nativity in Bethlehem today without hearing stories of how the Parthians devastated many church-structures in their Heartland invasion of AD 614. But here’s the kicker: the reason why they spared the Church of the Nativity is because the would-be destroyers looked down and recognized the depiction of Parthians on a mosaic and turned away. One could almost say that the magoi protected the structure. That Bethlehem mosaic vanished a long time ago, but could its likeness be preserved on these tokens? While the small artifact pictured here does not present the magoi, it demonstrates an extremely rare find. 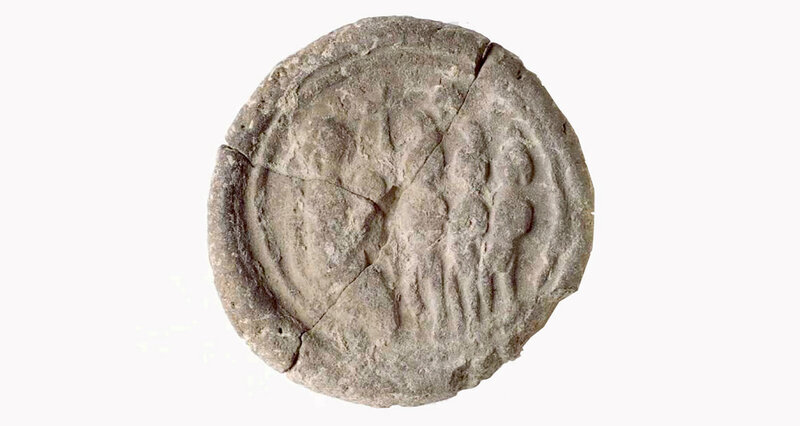 This is a token stamp discovered at Khirbet Deir Dusawi. It is connected with the Church of St Sergius in Gaza.Visible on the left is the back of the stamp. The nub functions a handle. Visible in the center is the negative image and visible on the right is an artist’s presentation of the positive. For discussion, see L. Y. Rahmani, “A Eulogia Stamp from the Gaza Region” in Israel Exploration Journal 20 1/2 (1970): 105-108. The practice was viewed as medicinal. The blessing of health would follow. In this way ancient pilgrim resembled the modern archaeologist. Both ingest the dust of biblical sites and carry it home with them. *To learn more about early Christian pilgrimage, see Mark Cartwright’s article on “Pilgrimage in the Byzantine Period” in the online Ancient History Encyclopedia here (accessed 12/22/2018). For other mentions of tokens and a thorough bibliography of the subject see Luke Lavon’s chapter in Objects in Context, Objects in Use: Material Spatiality in Late Antiquity (Leiden: Brill, 2007). **See L. Y. Rahmani, “Eulogia Tokens from Byzantine Beth She’an” in ‘Atiqot XXII (1993: 114). Find it here. See also an illustrated article by Jordan Pickett here. ***As noted by L. Y. Rahmani, “The Byzantine Solomon Eulogia Tokens in the British Museum” in Israel Exploration Journal 49/1-2 (1999: 95). *****See the excellent presentation by Gary Vikin in “Art, Medicine, and Magic in Early Byzantium” in Dumbarton Oaks Papers 38 (1984): 65-86. This quote is found on page 73.